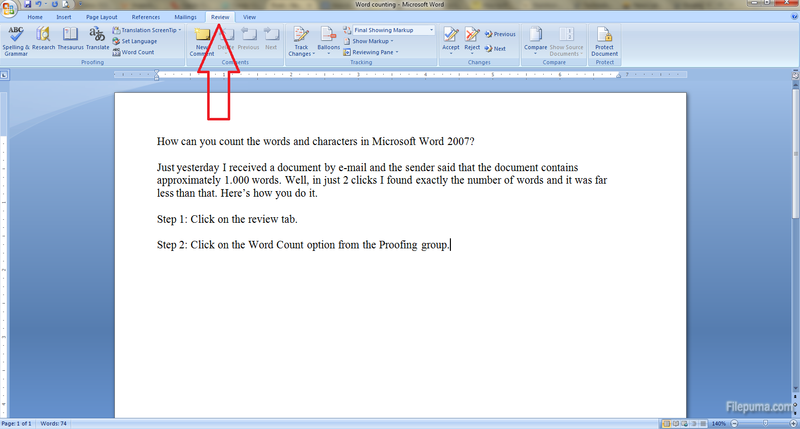 How can you count the words and characters in Microsoft Word 2007? Just yesterday I received a document by e-mail and the sender said that the document contains approximately 1.000 words. Well, in just 2 clicks I found exactly the number of words and it was far less than that. Here’s how you do it. 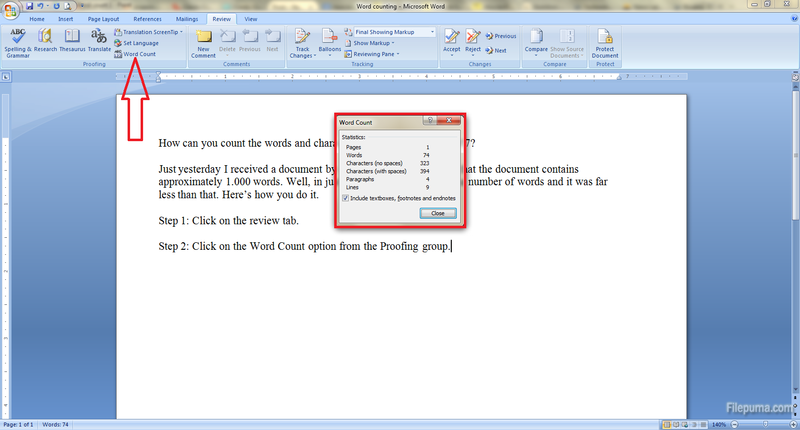 Step 2: Click on the Word Count option from the Proofing group. Well, it looks like we can say exactly how many words, characters without and with spaces we have.